To mark a ‘plus one’ beside a guest, lightly tap the feint +1 image in the guest list table (refer to screenshot below, highlighted in blue). This will toggle between 3 options – Male +1 (Blue), Female +1 (Pink/Red) and None – which will allow you to specify the gender of the +1 that the marked guest is bringing. 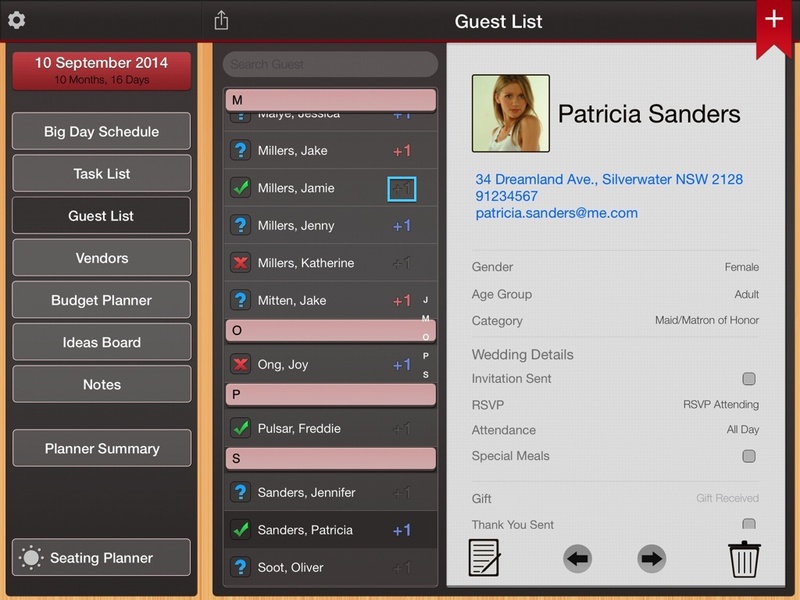 To mark a ‘plus one’ beside a guest, lightly click on the feint +1 image in the guest list table. 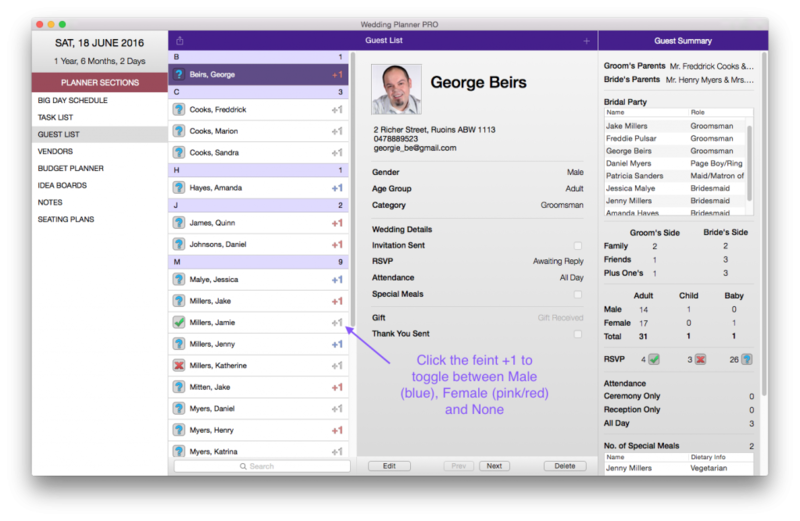 This will toggle between 3 options – Male +1 (blue), Female +1 (pink/red), and None – which will allow you to specify the gender of the +1 that the guest is bringing.